I'm so proud of Aaliyah! She has already finished her math for the entire year and she will be starting her first grade math curriculum shortly. She's able to count to 100, count by 2, 5's (struggles with the 5's though), 10's), she can also add, subtract and she's learned to tell time (she can read the digit clocks perfectly she's still working with the analog clock and the minutes). While Halimah will not officially start Kindergarten for another year, she's not too far behind Aaliyah either. She's just as bright as her big sister and I'm proud and just how talented my little bug and little bee are! When you've been married for a few years and you've grown comfortable with your spouse it's easy to fall victim of going through the motions of married life. Hubby goes to work, and if you're a stay-at-home wife/mom then you're at home working to make a life... but the golden rule for marriage is to live to make your spouse happy. So what would make your spouse happy? This will naturally change from one man to the next - but for the most part, hubby wants to see a happy wife. Sure, I'm positive he would appreciate the house being clean and the dinner prepared on time - but wouldn't it be more exciting to come home to a happy, smiling wife? ABSOLUTELY! The saying goes - happy wife = happy life! I's time to break out the smiles ladies and do our best to be in a good, happy/cheerful mood when hubby comes home. I know it's rough, ESPECIALLY if you have little ones you're taking care of - but as I talked about in a previous post - making time for yourself to regroup should help give you the little boost you need to get on track. Just think of all the rewards you'll get when you make your spouse happy - it's like treating yourself! This is Aaliyah’s favorite dish. Most days she’s not very interested in eating meat unless it’s accompanied by a sauce she really likes - thankfully, she LOVES this sauce. If you’re looking to cut calories a little then use 1 tablespoon of virgin coconut oil or less. Cut chicken breasts in half, cover with a paper towel and pound to roughly ½ inch thick. Sprinkle chicken with salt and pepper. Heat oil in a large nonstick skillet over medium heat. Add chicken; cook 5-7 minutes on each side or until done (chicken should be slightly browned). Remove chicken from pan; set aside and keep warm. Add the broth, chili sauce, and fish sauce to the same skillet; bring to a boil, scraping pan to loosen browned bits. Cook until broth mixture is reduced by half. 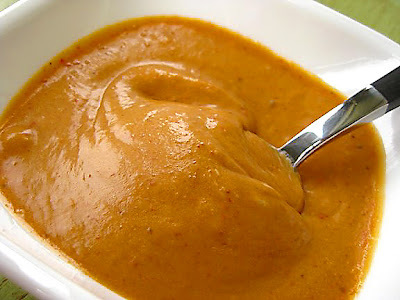 Remove from heat and stir in lime juice and peanut butter, stirring until smooth. Serve sauce over chicken with brown rice and steamed broccoli for a complete meal (we like to drizzle a little sauce over the broccoli too). Last week I hit a rough patch and I was forced to take a timeout for a few days. Honestly, it was in the break away when I realized I really have to allow myself a break everday - I have to give myself a simple amount of time for just myself. Even if only 10-15 minutes - I need time to regroup, re-energize, relax and unwind. When you spend all day every day going a mile a minute it really does take a toll on you in more ways than one. So, here's my little break to encourage everyone to try and take a 10-15 minute break everyday just for yourself. If you have kids, especially little kids then try to do this when your children are taking a nap (I still make my 5 and 4 year old take naps - so don't feel guilty)! Don't clean the house, wash dishes, cook or do a load of laundry - it will all be waiting for you. 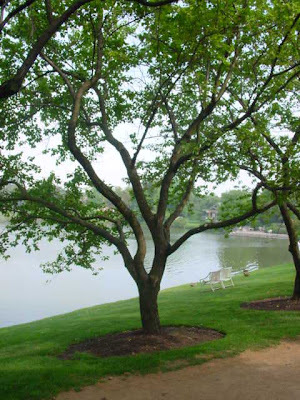 Take 10-15 minutes (longer if time permits) and put your feet up, have a sip of water (or juice) and just enjoy the quiet, peace/tranquility. Do a little yoga, have a cup of coffee and enjoy a few pages of a good book... just do something for yourself everyday. I promise I'm going to do it - are you with me? Are you Hacking at Leaves? As I read this saying in the book, The 7 Habits of Highly Effective People by Stephen Covey, on a recommendation from a friend, it really left an impression on me. I’m only in the first few chapters of the book and thus far it is a fairly good read - a little too verbose in getting the point across for my personal tastes but otherwise a worthwhile and much needed life awakening read. The point the author is trying to convey in his opening chapter is we can spend countless time trying to change our actions and behaviors (the leaves) but it’s only in the moments when we change our perceptions (the root) that the quantum change we long for can be attained. When you change your perception it’s like the proverbial light bulb goes off. You have the long awaited, “AHA!” moment. I’m in the start of mine now... what will yours be? In a nutshell - homeschooling is one great adventure! I like to believe that children learn from the moment they are born; life, itself, is one BIG learning experience. 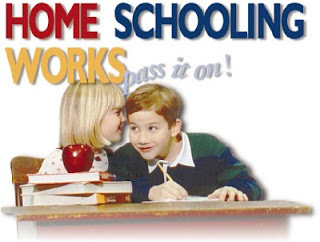 So, technically, we’ve been “homeschooling” since birth! When the idea that I would have to “formally” teach my children at home came into play I was concerned... I wasn’t quite sure where to begin! I tend to do well with schedules and organized plans - rather than just approach things willy nilly. It’s such an amazing experience watching my children get excited about learning something new; so have fun learning with us! If you want to learn more about the program we're using visit the K12 website I highly recommend their program thus far! As previously mentioned in my “about me” opening – I have been formally diagnosed with a mental illness. Considering my reader base is all of about 5 people or less I feel comfortable enough to be candid, after all, being able to talk about it helps me cope. 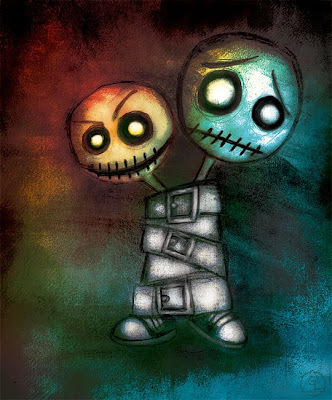 I suffer from Bipolar Disorder. For many years I was misdiagnosed with depression, mostly because I wasn’t as forthcoming with my doctors as I should have been but thankfully I found an AMAZING doctor last year and I was able to be fully upfront with her about my symptoms, etc… I’m now on the right track to getting the help I’ve needed for years! Although I do experience depressive episodes from time to timed I mostly cycle through manic states and I tend to be in a constant state of irritability and agitation – the smallest thing will set me over the edge! Try dealing with that and having small children where every small thing they do can drive you insane! It’s been a rough few years since having kids, that’s for sure – but in their defense it hasn’t been easy having me as a mom either! So, this is just a little back ground on where I’m coming from mentally – so sometimes if I rant and it seems like I’ve lost touch with reality – I probably have. It takes me a little while to reconnect with planet Earth from time to time… I trust you’ll help me! Here's a great resource for some inspiration! These gals have a great website, You Can Make This, where you can find all sorts of user based ideas/projects to make - including some free projects too. They also have a few sister sites too, one of my favorites is SWAK Embroidery. They started a new blog/website called DIY Dish - here's their first video. 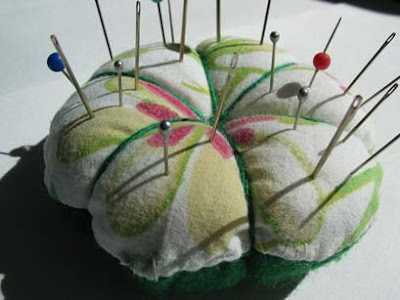 Figured this my incite someone to do a little decorative cake pin cushion making! Here's a link to their post with lots of pictures including a giveaway too! Years ago I used to sew my own clothes... When I was pregnant with my daughter I started a baby quilt for her, which I have yet to finish (primarily because Aaliyah decided to arrive 3 weeks ahead of schedule and I never had a chance to learn ho to finsih the quilt). Once I started working from home in 2009 my first "big purchase" with the money I earned was for a fancy schmany new serger (because my old one died in the middle of a project). I fell in love with sewing all over again. My next big splurge was on a new top of the line embroidery/sewing machine - it's a sewing dream come true! While I don't get as much time as I would like, I’m hoping to change that with regular posts on my projects. I'm also planning on taking advantage of the weekends a little when hubby can take care of the kids for a couple hours so I can sew in peace (it's a bit challenging trying to sew with two inquisitive daughters and a very meddlesome 1 year old monster poking and prodding everything)! So whether I'm working on clothes, something for the house, or gifts - I’m excited to finally let my creativity shine! Maybe I'll be a little ray of inspiration for you too! Next to writing, if there’s one thing I can do and do it well, it’s cooking and baking! I *LOVE* to cook and bake.. 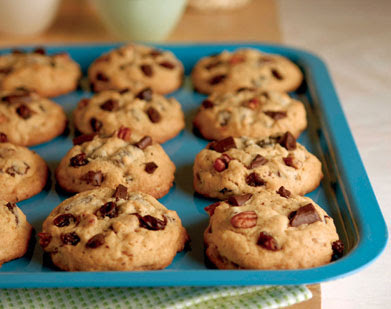 Ever since I was a little girl I have always enjoyed cooking and baking. I fondly remember first learning how to make Swiss Steak and Swedish Meatballs - two recipes which continue to remain in my repertoire! While I’ve had my fair share of cooking disasters, my culinary accomplishments are many. Food is not just nourishment but a way to bring my family and friends together and share fond memories and funny stories all while enjoying a great meal. After all, who can resist a slice of freshly baked bread, or a soft and chewy chocolate chip cookie or fluffy, moist cupcake? I look forward to sharing my most well loved recipes and cooking experiences with all of you! I'm a Muslim - What does that mean? For those who know me - you know I'm a Muslim... and for those who are only acquainted with me then you may know that I'm a Muslim but you may not know much else about how I became Muslim (when, how, where, and why)... Well, it's a fairly long story but an interesting one and I'd be happy to share the story if you're interested in hearing it - just let me know! What does it mean that I'm a Muslim? It's a good part of my identity - in short to be Muslim means to submit, surrender and obey in peace and sincerity to the will of God (Allah = One God). It means that I testify there is only One God and there is no one worthy of worship except God alone, and that Muhammad (peace and blessings be upon him) was the final messenger of God. I know there are a LOT of misunderstandings and misconceptions about Muslims and Islam so I'd like to extend the offer to ask any and all questions you may have, at any time - there's an open door policy here when it comes to questions! If I don't know or have the answer that doesn't mean the answer doesn't exist - I'll just have to work on finding someone who does! Who I am and the life I live is exactly that! Although I’ve been formally diagnosed with a severe mental illness (which I will likely be discussing in more candid detail in future posts), I’ve been known to do (and/or say) some really foolish things. Every day I live in a constant state of organized chaos! 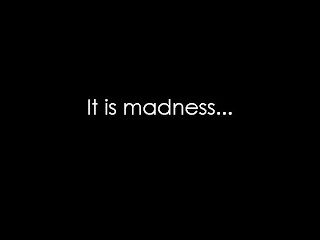 Between being a wife, a mom, working at home, and homeschooling - I quite literally teeter on the brink of insanity most days. As any mom (and wife) knows - there are no days off. There is no break from being a wife and mom. You can’t call in sick if you don’t “feel like” being a wife or mom (ok, so some people decide to quit being a wife but that’s not how I deal). This blog is my haven! My own special place where I can discuss the madness of my life; my frustrations, thoughts, creativity, goals, projects, etc... Essentially I’m just throwing it all out there in an effort to survive the madness that is me and my life! The grass may not be greener over here - but at least I can still call it grass!